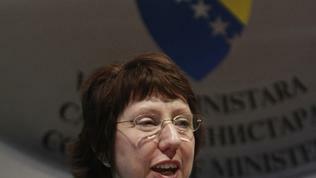 A very strong message sent the EU High Representative for Foreign Affairs and deputy president of the European Commission Catherine Ashton in the Bosnian capital Sarajevo. She announced that the EU would not leave th Western Balkans until they join the Union. Something even more, she explained why this was so important for the EU. 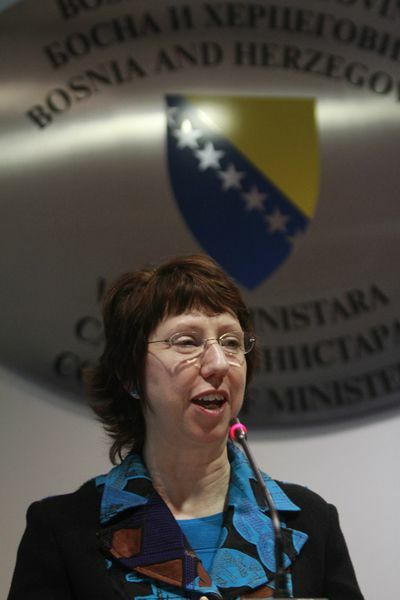 In the very beginning of her speech in Sarajevo, where her tour of the region started and included also visits in Serbia and Kosovo, baroness Ashton outlined the changes in the world after the fall of the Berlin wall. The biggest global challenges are the exponential growth of China, closely followed by India, Brazil and even Russia. As second she pointed out the big jump ahead in communications - the development of Internet and the access to mobile phones. 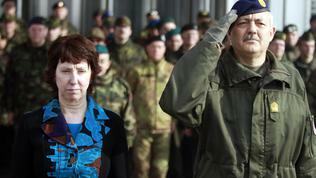 And as a third Catherine Ashton mentioned the melting of polar ice and the financial and economic crisis. It was no accident that her speech started with listing these challenges because further on the baroness explained that for the last 20 years when the world changed so dramatically, the EU was not doing bad. "We are not completely whole and not completely free. But we are much better off than we were 20 years ago - at least most of us are". According to her, the small and medium sized countries would not be able to cope alone in a world of giants like China, the US, India and even Brazil which is 3 times bigger than any European nation.This is why, she underlined, the European Union was the key to the future of the Europeans. "We need big markets if we are going to have certainty about jobs and our future prosperity. We are going to need a big weight in international affairs if we want to deal on something like equal terms with the USA, India and China". 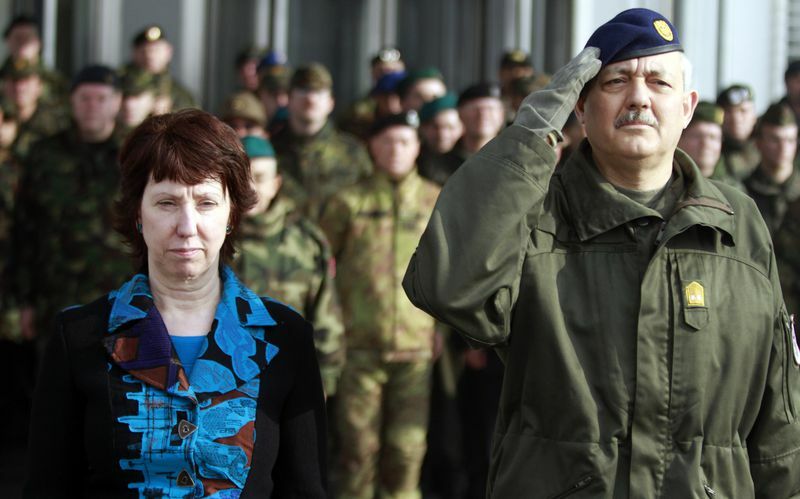 Outlining the global agenda Catherine Ashton touched the thin Balkan string by saying that no one could have security for the future, for his children or his job unless he had no security for the borders of his own country. This security, she said, could be found in the EU where there were no borders and restrictions. Together with a clear commitment for the European future of the countries from the Western Balkans, Catherine Ashton made it clear that this would not be for free. To Bosnia and Herzegovina she said that it could be allowed in Europe only as a single country. "Let me be clear: Bosnia and Herzegovina can only join the European Union as one country, by speaking with one voice, and by respecting individual human rights and the different cultures of the constituent peoples". She added, that each citizen in the tri-ethnic federation wanted to be a citizen of the EU, but politicians, as it seemed, did not realize this. If the current politics would persist, there would be no success, underlined the EU High Representative for Foreign Affairs. To Belgrade she turned with great understanding by stating that the EU was fully aware that Kosovo was still an important issue for Serbia. But this should not prevent progress towards solving practical questions. Regional cooperation must move forward and Kosovo must be given the possibility to take part in a pragmatic way in regional initiatives. "Kosovo is an integral part of the EU 's Western Balkans strategy. The EU may have left the status issue to individual member states. But the EU as a whole is clear that the future of Kosovo is European". Besides this, the Serbs should continue to cooperate as well as so far with the International War Crimes Tribunal in former Yugoslavia in the Hague. Ashton welcomed the initiative of the Serbian president Boris Tadich the Serbian Parliament to vote a resolution, condemning the massacre in Srebrenitsa more than 10 years ago. The Former Yugoslav Republic of Macedonia, Albania and Montenegro were mentioned very briefly in the otherwise profound speech of Catherine Ashton. And even the problems of the former Yugoslav Republic with Greece over the name Macedonia were not mentioned as a condition. Instead, it is underlined how important it was bilateral regional problems to be solved once and for good. Beside this the High Representative reminded several times in her speech that the citizens of the countries in the region were already free to travel within the Union because of liberalization of the visa regime. Now the next step is necessary. And if we can judge by the fact that the new High Representative chose the Western Balkans for one of her first visit and if we take into account the messages she sent, we can conclude that the EU stretched its hand. Now it remains this hand to be accepted. Only then we will be able to discuss whether these countries will choose the path of Bulgaria, Romania and maybe Greece or will follow Croatia and Slovenia. The latter was especially praised as an enormous success for the European membership of a country coming from the powder keg - the European opinion about the Balkans more than 100 years ago.